Do you have a wish for whiter teeth? Have you been trying to figure out if it would be worth going through and whitening your teeth? If so, Dr. Mahar can help with this and any cosmetic issue. There are some really effective ways to whiten your teeth, but you have to be sure that you are using treatments that are going to be effective while still being safe. For this, you should only trust your dentist’s recommendation on which products to use on your teeth. 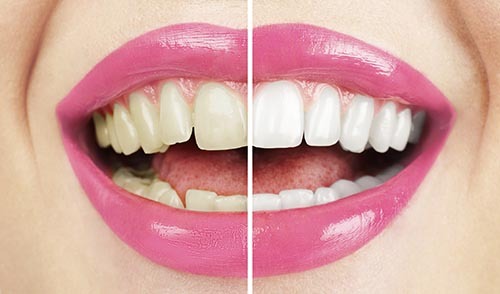 The best way to go about getting whiter teeth is to have your dentist go through and thoroughly clean your teeth. From there, you can get impressions of your teeth that we will then send out to have trays made. Once the trays return to our office, you will come back and have a sit-down with Dr. Mahar. He will put the trays into your mouth and make sure that they are totally comfortable. If there are any sore spots, he will alter them until they are painless. From there, he will take the trays and show you how to use them. You should either wear the trays while you sleep, or you should wear the trays, two different times during the course of each day. Each of those times that you wear the trays should last at least 30 minutes each time. The only thing to make sure you are aware of before you go through the tooth whitening process is that your teeth are very likely to become sensitive during the couple weeks that Dr. Mahar has you wearing these trays. Within a few days of stopping wearing the trays, your teeth should return back to normal. If you notice sensitivity lasting longer than a few days beyond completing your whitening, you should come back to Mahar Dental and let us take a peek at your teeth. Having a bright white smile can give you a lot of confidence, and the ability to be more proud of your appearance. Give Dr. Mahar a call and schedule an appointment to come in and find out what type of tooth whitening options you have. After you have talked with Dr. Mahar, you can decide which option is going to be best for you to achieve the look you are going for. It only costs a little to have a million-dollar smile, so let Mahar Dental bring that smile to the surface. What are you waiting for?